In an extremely promising start to a series, Pam of Babylon, by author Suzanne Jenkins, the reader is introduced to quite an interesting scenario. When Pam's husband Jack dies suddenly from a massive heart attack, the secrets he's been keeping come to the surface. Finding that the husband she loved had not one, but two mistresses, comes as quite a shock and quite a blow. But in a story of healing, forgiveness and ultimately redemption, Pam comes to grip with the husband she thought she knew, the love she thought she had, and the reality of what had been kept hidden from her for so long. I so enjoyed this book. Author Suzanne Jenkins has done a fantastic job at creating characters that the reader will truly relate to and care about. If that isn't a hallmark of a great author, I'm not sure what is. The storyline is easy to follow and well-paced. 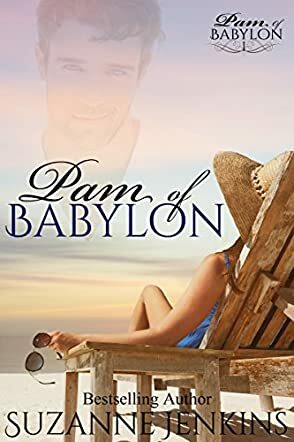 Pam of Babylon will keep you turning the pages from start to finish. In fact, the best piece of advice I have for any reader is to have enough time aside to read this entire book at once, because once you start it, you will not want to put it down. Any reader who enjoys chick lit, women's fiction, or just an enjoyable read will love this book. I recommend Pam of Babylon, and am very much looking forward to reading the next installment in author Suzanne Jenkins' series as soon as possible.